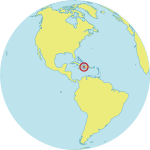 NEW YORK/MEXICO CITY/PORT-AU-PRINCE – Despite global commitments, unacceptably large numbers of mothers and newborns continue to die during pregnancy and in the days following childbirth. Yet the actions needed to save these women and newborns are largely known, said conveners of the first Global Conference on Maternal and Neonatal Death, held in Mexico City last week. Fifteen years ago, global leaders agreed to dramatically reduce maternal and child deaths. Tremendous progress has been made – child mortality has dropped by more than half, and maternal mortality by 45 per cent – but not enough. Every day, about 800 women and some 7,400 newborns die of preventable causes, and an additional 7,300 women experience a stillbirth. A handful of simple measures could save these lives. Maternal survival increases when women receive quality care during pregnancy, the help of a skilled attendant at birth, and access to family planning, for instance. But the world continues to lag behind in its efforts to reduce these preventable tragedies. The conference in Mexico was the first opportunity for health experts to discuss strategies to improve the survival of mothers and children since the adoption of a new set of global goals, the Sustainable Development Goals, last month at the United Nations. A review of the last 15 years shows that gains in maternal and child survival have been uneven. 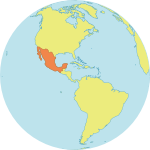 Latin America and the Caribbean offers a prime example. There, some 85 women die per 100,000 births – a lower maternal death ratio than many other developing regions, according to last year’s Trends in Maternal Mortality report. But many countries within Latin America and the Caribbean have struggled to show improvement. 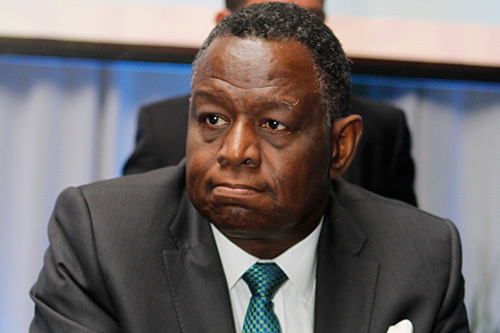 “The maternal death ratio in four countries has even increased,” said UNFPA’s Executive Director, Dr. Osotimehin, in an editorial published in Mexico’s Excélsior newspaper ahead of the conference. Haiti offers a glimpse of the challenges that remain. 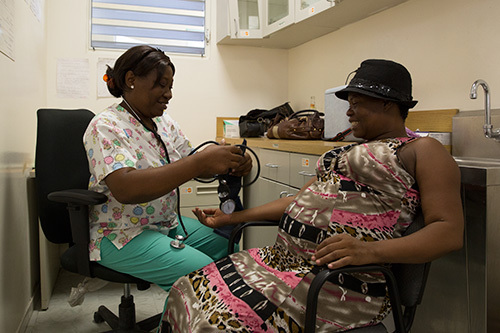 Women in Haiti have a 1 in 80 lifetime risk of dying from pregnancy-related causes, compared to a region-wide risk of 1 in 510. Newborn deaths number 25 out of every 1,000 births, according to UNICEF. Amoin Suleman, a midwife at a UNFPA-supported clinic in Port-Au-Prince, knows these risks all too well. “There really shouldn’t be any deaths, but sadly in [many] cases, there still are,” she said. Part of the reason is that only 37 per cent of women give birth under the care of a skilled birth attendant, according to the country’s 2012 demographic and health survey. UNFPA is working with the health ministry and other partners to support maternity hospitals and clinics around the country. 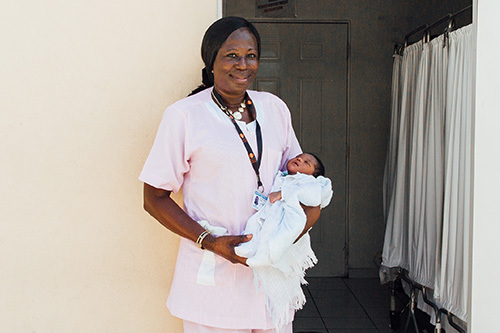 More midwives are also being trained; UNFPA helped build a new earthquake-resistant midwifery school after the previous school was destroyed in Haiti’s devastating 2010 quake. Around the world, it estimated that 350,000 more midwives are needed, especially in remote and hard-to-reach areas. With proper training, midwives could provide 90 per cent of the essential care needed by women and newborns. Investing in midwifery is estimated to yield a 16-fold return on investment. But the real benefits are priceless. “The second a baby is born and cries, the mother is so happy. And for me, it’s a real personal satisfaction,” Ms. Suleman said, speaking at her clinic.